I’m happy to share news of my selection for a Copland House Residency Award for 2017-18. This is a great honor, which will allow me to live and work at the former home of composer Aaron Copland, in Cortlandt, New York, in summer 2018. Every artist colony and fellowship has its own atmosphere, customs, and charm, and I’ve had the pleasure of experiencing many of them, most recently MacDowell. Copland House is unique in that it hosts only composers and hosts only one composer at a time. 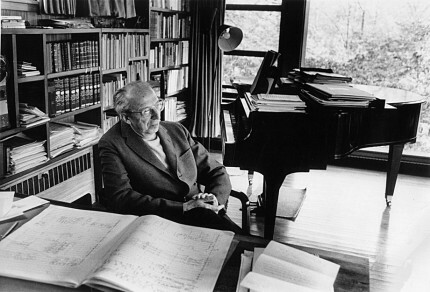 It is difficult to express the full range of feelings a composer might feel when writing a new work at Copland’s own piano and desk—the same piano and desk where he wrote both Connotations and Inscape. Suffice to say, it will be a privilege.